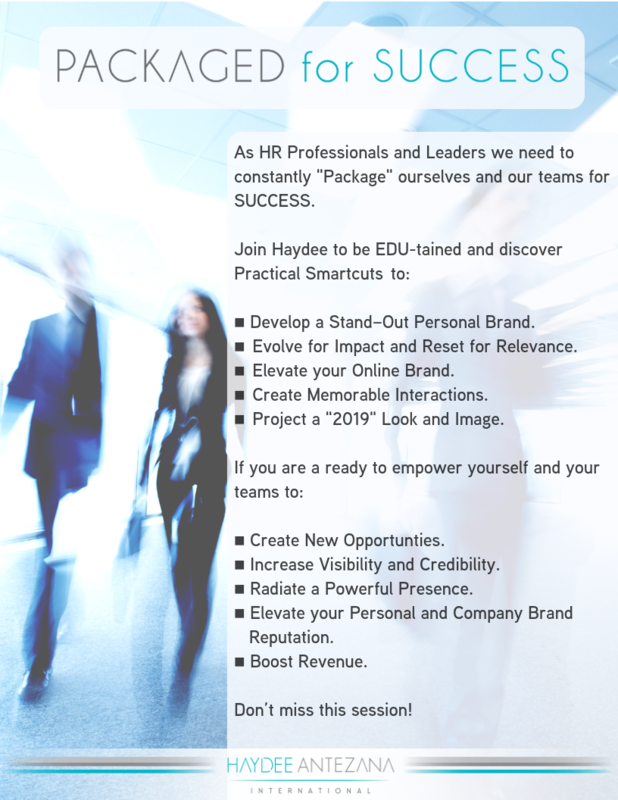 As HR Professionals and Leaders we need to constantly "Package" ourselves and our teams for SUCCESS. 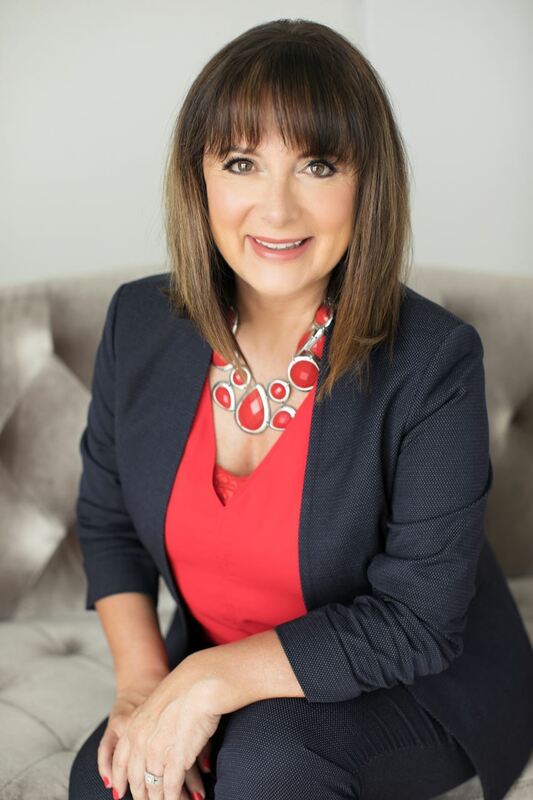 Develop a Stand–Out Personal Brand. Evolve for Impact and Reset for Relevance. Project a "2019" Look and Image. Elevate your Personal and Company Brand Reputation. 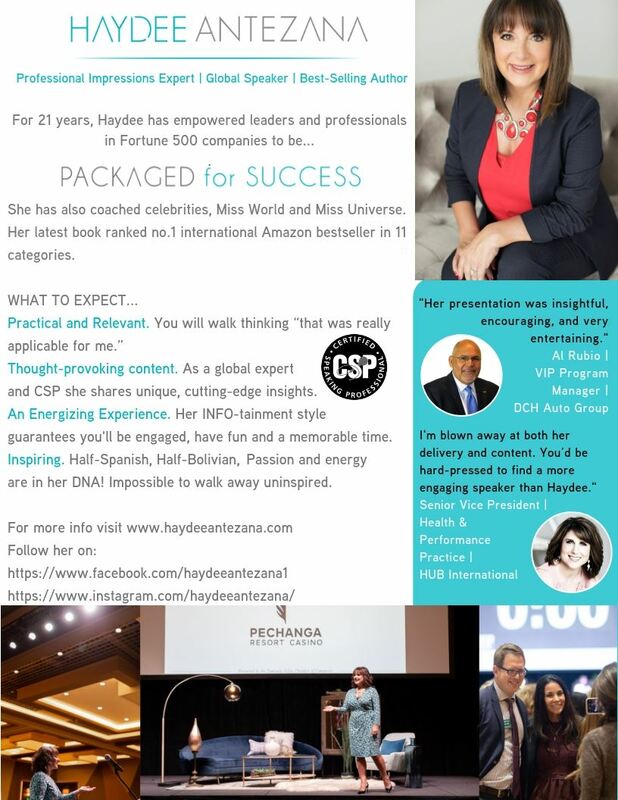 For 21 years, Haydee has empowered leaders and professionals in Fortune 500 companies to be “Packaged For Success.” She has also coached celebrities, Miss World and Miss Universe. Her latest book ranked no.1 international Amazon bestseller in 11 categories. Thought-provoking content. 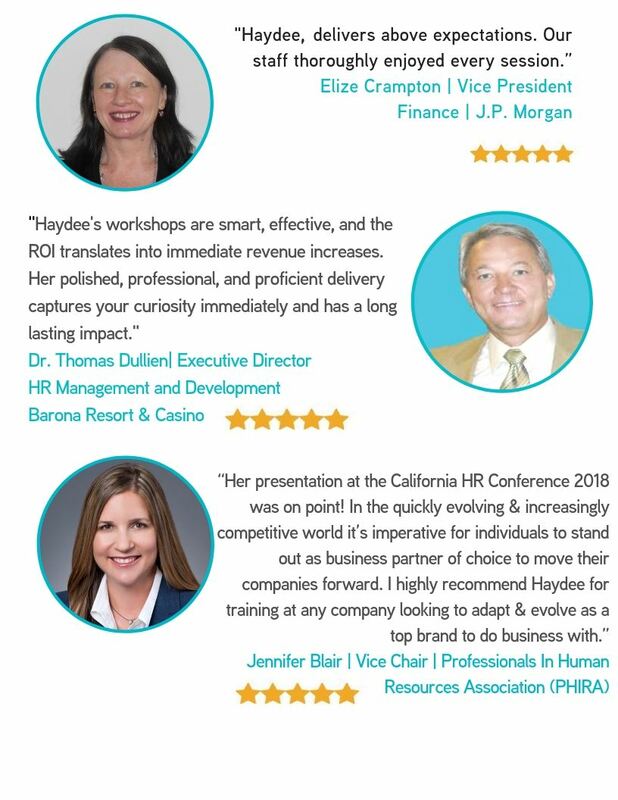 As a global expert and CSP (Certified Speaking Professional) she shares unique, cutting-edge insights. An Energizing Experience. Her INFO-tainment style guarantees you'll be engaged, have fun and a memorable time. Inspiring. Half-Spanish/Half-Bolivian - Passion and energy are in her DNA! Impossible to walk away uninspired.